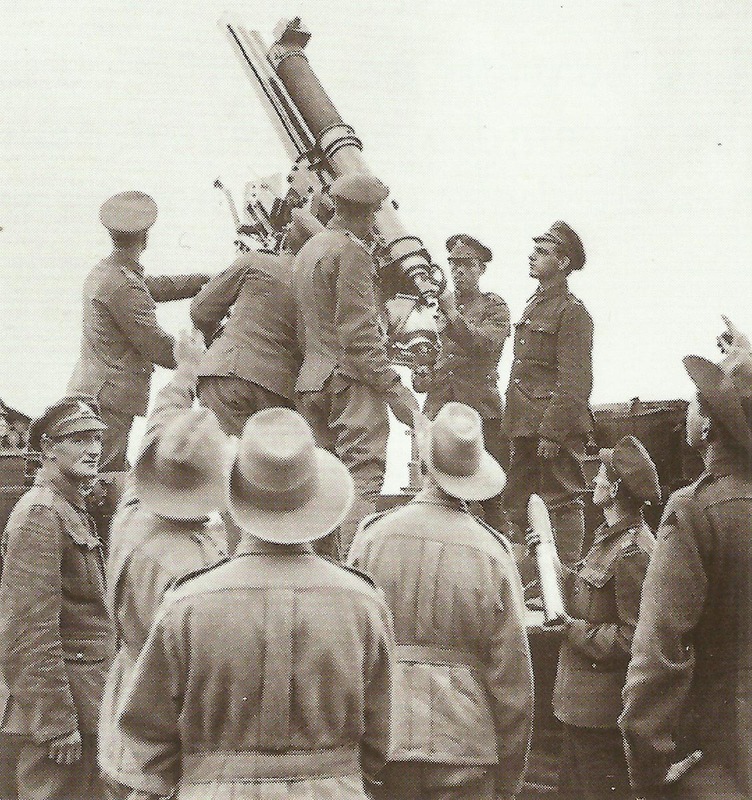 A British 13-Pounder anti-aircraft gun. Macedonia: 20 aircraft of KG 1 (transferred from Bucharest) surprise bomb French Gorgop airfield; 8 French aircraft destroyed, 4 damaged. KG 1 later bombs Yanesh airfield (RFC), British dumps and camps (28 casualties). Mesopotamia: British 13th Division belatedly drives Turk rearguard from Sheikh Ja’ad, but 3 Royal Navy gunboats (2 hit) destroy Turk flotilla (4 ships and 1,500 PoWs) and recapture HMS Firefly. France: Allied Calais War Conference (­February 27) fixes next Western Front offensive. USA­: Wilson asks Congress for power to arm merchant ships (Bill introduced on February 28, but filibustered in Senate to session’s end, March 3).